Trusted LASIK Surgeons is pleased to welcome Richard Duffey, M.D., to its LASIK Directory. Dr. Duffey treats patients in Mobile, Alabama and also serves patients from Pensacola, Florida and from the Biloxi, Gulf Port, and Pascagoula communities in Mississippi. Trusted LASIK Surgeons launched its revolutionary Trusted LASIK Eye Surgeons directory service and information resource for consumers at http://www.TrustedLASIKSurgeons.com. What sets the Trusted LASIK Surgeons directory apart is a unique screening process ensuring that only the best LASIK Surgeons in the United States are listed. Refractive surgeons such as Dr. Duffey are screened based on their experience, research, publications, lectures and patient care standards. Trusted LASIK Surgeon's goal is to have the top 1% surgeons listed in its LASIK surgery Directory for every major city in the United States. Mobile LASIK Surgeon Richard Duffey's dedication to improving vision knows no boundaries. 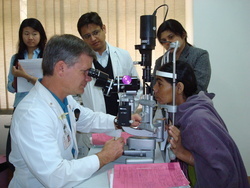 Here Dr. Duffey examines a patient in India on a mission for Orbis International. Trusted LASIK Surgeons announced today that Mobile LASIK surgeon Richard Duffey, M.D. has been listed on its LASIK Surgeons Directory, an informational resource for LASIK and other refractive surgery procedures. Dr. Duffey's practice serves the Mobile area in Alabama as well as Pensacola, Florida and the Biloxi, Gulf Port, and Pascagoula communities in Mississippi. The primary objective of the Trusted LASIK Surgeons directory is to include only those LASIK surgeons who are among the best in the United States based on the surgeon's experience, premier patient care, and professional credentials. Dr. Duffey's superior qualifications put him among the top LASIK and refractive surgeons in the United States. The most significant professional qualifications that set Dr. Duffey's apart from nearly all other LASIK Surgeons are his experience as a principal investigator for 2 FDA studies for the approval of LASIK, and his annual survey of U.S. trends in refractive surgery for both the American Society of Refractive Surgeons and the International Society of Refractive Surgeon/American Academy of Ophthalmology. Dr. Duffey has performed over 10,000 LASIK and laser vision procedures. With over 20 years of experience in vision surgery, including LASIK and other refractive surgery procedures such as lens implants, Dr. Duffey has the proven expertise to provide patients with the best vision care available. A certified ophthalmologist by the American Board of Ophthalmology, Richard Duffey, M.D., is a member of the American Academy of Medical Ethics, a Fellow of the American Academy of Ophthalmology, the International Society of Refractive Surgery, and the American Society of Cataract and Refractive Surgery. Dr. Duffey stays professionally active in his local community as a member of the Alabama Academy of Ophthalmology, the Medical Association of Alabama, and the Mobile County Medical Society. 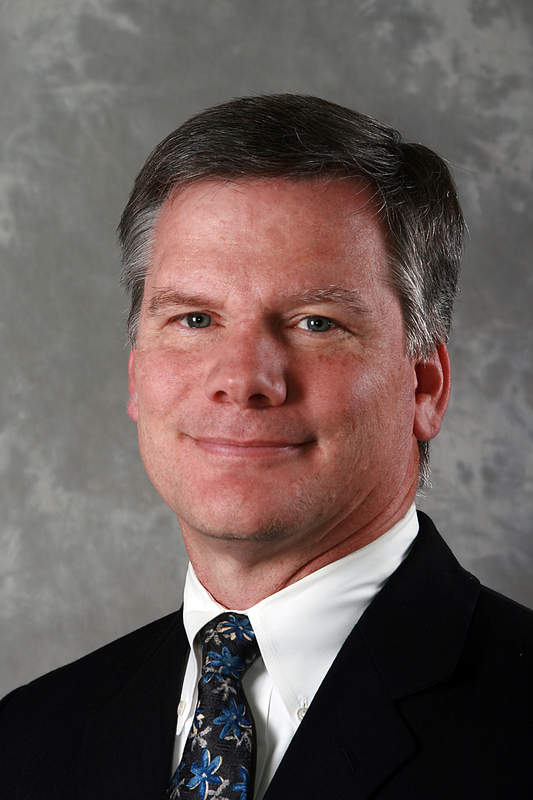 Dr. Duffey serves as an editor and reviewer for several ophthalmology journals. He has also written several text book chapters, has published over 30 articles for major peer-reviewed eye journals, and has given over 75 lectures at major eye meetings. His contributions to the field of refractive surgery have earned him the admiration of his peers throughout the United States. Dr. Duffey's professional practice offers the IntraLase system for "All-Laser" or "Bladeless" LASIK, use of Wavefront Based ("Custom") LASIK and PRK, and the iLASIK procedure, which includes WaveScan Technology, IntraLase, and Visx Advanced CustomVue treatments. He offers not just LASIK and PRK (laser eye surgery procedures), but other procedures like RLE/CLE (lens implants), CK (Conductive Keratoplasty), phakic implants, limbal relaxing incisions, and cataract lens implants procedures to give patients a full range of options when it comes to choosing the right procedure. Patients who have had significant problems with LASIK or other vision correction procedures performed elsewhere regularly choose Dr. Duffey to manage and treat their complications. Dr. Duffey is chosen by other eye doctors to perform their LASIK or other vision correction procedure. Dr. Duffey performs LASIK and other laser vision and refractive surgery procedures on patients with nearsightedness (myopia), farsightedness (hyperopia), astigmatism (blurred vision), and presbyopia. Richard Duffey, M.D. is has been repeatedly selected to be listed in America's Top Doctors and Best Doctors in America. No where is Dr. Duffeys dedication to helping people throughout the world more apparent than his ongoing commitment to Orbis International, a flying eye hospital, where he has done missionary work teaching corneal and lens implant surgery procedures to doctors in China, Sudan, Mongolia, Peru, West Indies, and India since 1991. Over this same time period he has been an active serving doctor for Camp Rap-A-Hope, a childrens' oncology camp serving the southeastern U.S.
"Dr. Richard Duffey has met all of the criteria we have listed for TLS surgeons and we are extremely pleased to have him join the top caliber refractive surgeons listed in our Trusted LASIK Surgeons Directory," said Dr. James J. Salz., M.D., Chief Executive Officer of Trusted LASIK Surgeons. "One of Dr. Duffey's major contributions to vision care is his continued service as the principal investigator for two unique studies presented and published each year by the International Society of Refractive Surgeons and the American Society of Refractive Surgeons. These useful surveys inform all LASIK surgeons about the most recent trends in our field, such as how many surgeons use Intralase, perform CK, and the percentage of eyes receiving Wavefront-based treatments. Patients in the Mobile area who see Dr. Duffey can have confidence that they are selecting a surgeon who is current in the best available options for vision correction." "I am pleased to be invited to join this august group of talented refractive surgeons who are dedicated to providing the best technology, training, and techniques for their patients choosing laser and other vision correcting surgeries," said Richard Duffey, M.D. of Premier Medical Eye Group. To contact Dr. Duffey directly, please click on the LASIK Surgeon Duffey Laser contact form and please let Dr. Duffey know you found him through his listing at Trusted LASIK Surgeons. The screening process and standards used by Trusted LASIK Surgeons are located at: How Are LASIK Surgeons Qualified at Trusted LASIK Surgeons? Trusted LASIK Surgeons, Inc. (Trusted LASIK Surgeons) is an informational website on LASIK and other refractive surgery procedures. Our primary mission is to assist the public in finding the best vision correction care through both the information on our website and through our distinct LASIK and refractive surgery directory which lists those surgeons who are among the best and most qualified LASIK and vision correction surgeons in the United States. Our Trusted LASIK Surgeons directory uses a unique screening process where each prospective LASIK surgeon must meet a minimum number of required qualifications set by Trusted LASIK Surgeons. These standards we use are based on experience (not just in LASIK but in complete refractive care), research (including FDA approval studies for manufacturers and academic appointments at major universities), publications and lectures (to their peers, not to the public via infomercials) and patient care standards (treating other eye professionals and managing complications from patients first operated on by another doctor). All refractive surgeons listed at Trusted LASIK Surgeons have qualified, been accepted, and have subscribed to our services. For more information on why we believe consumers interested in LASIK should consider a surgeon listed in the Trusted LASIK Surgeon's directory, please visit our website at http://www.TrustedLASIKSurgeons.com. 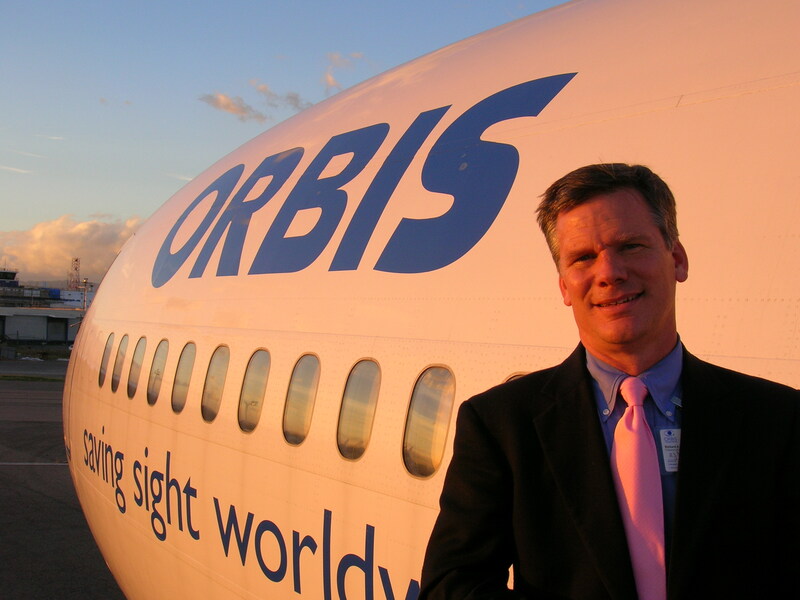 Dr. Richard Duffey preparing for an Orbis International mission to the West Indies.Since 1991, Dr. Duffey has been serving on the ORBIS Flying Eye Hospital, a hospital with wings that brings together dedicated eye care professionals and aviators to give the gift of sight to developing countries around the world. Dr. Duffey has treated patients and taught surgeons in China, Sudan, Mongolia, Peru, the West Indies, and India. Trusted LASIK SurgeonsAn online resource for consumers seeking better vision through LASIK and other refractive surgery procedures. Mobile LASIK SurgeonLASIK surgeon Dr. Richard Buffey has extensive professional credentials that place him among the top LASIK & refractive surgeons in the U.S. Dr. Duffey treats patients in Mobile, Alabama and surrounding areas in Alabama, Mississippi, and Florida.